China Inches Closer To Becoming The First To Land On the Side of The Moon That ‘Never Faces the Earth’: Taking the lead over others in the space race, China launched a satellite on Monday designed to establish a communication link between earth and a probe that the country is set to start for soft-landing on the darker side of the moon. 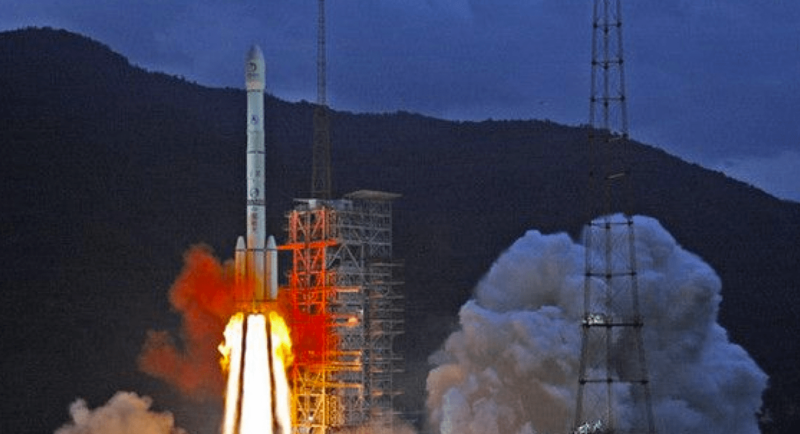 Launched atop the Long March-4C rocket from the Xichang launch center in the southwest of the country, the satellite is now on its way to the Earth-moon Lagrange point-2, a gravitationally stable point around 64,000 kilometers beyond the side of the moon that never faces the Earth. The satellite will act as a link between the robotic probe to be launched by China later this year for a soft landing on the moon’s far side and command centers on the Earth. If successful, China will become the first country to successfully land a probe on the darker side of the moon, which remains mostly mysterious. In the last few decades, China was trying to catch up with space powers such as the United States and Russia. It now appears to be taking the lead in some areas. China became the first country to soft-land on the brighter side of the moon in the year 2013. It plans to send a human to the moon in the next 15 years. The state is also set to launch the construction of its manned space station next year.